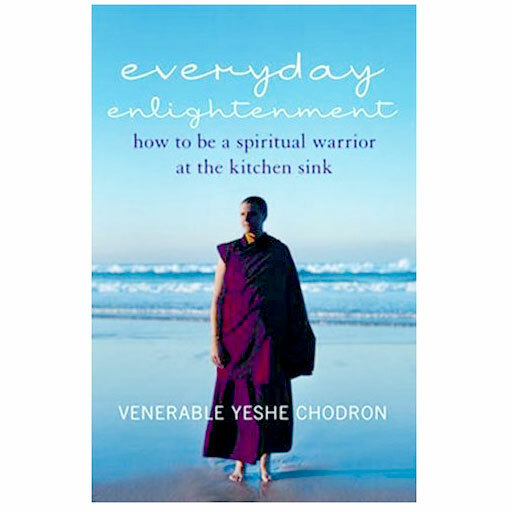 Venerable Yeshe Chodron brings the Buddhist faith into our daily lives, revealing the joy and peace that so many followers of the Buddha’s teachings have found in their own spiritual awakenings. When Yeshe Chodron was fourteen, her father died, plunging her into a suicidal depression. At seventeen, she left Australia for the Himalayas to find the meaning of life. After nine years of practice and study as a Buddhist, Sister Yeshe relates her spiritual journey. With tremendous warmth and humor, she writes about how we can all reach peace, happiness, and enlightenment through Tibetan Buddhism in our lives.